Celebrity Gossip and Entertainment News: Did Justin Bieber Cause Rita Ora Calvin Harris Break-Up? 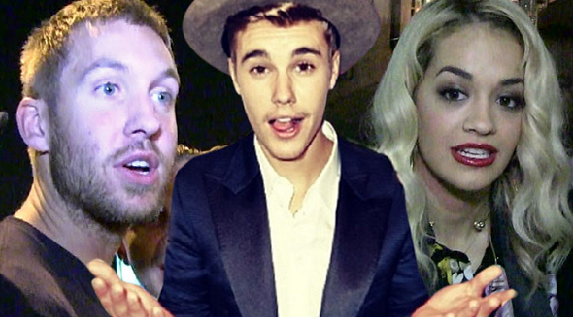 Did Justin Bieber Cause Rita Ora Calvin Harris Break-Up? Did an affair with Justin Bieber end Rita Ora's romance with Calvin Harris? Justin Bieber is at the center of the break-up of deejay Calvin Harris and Rita Ora ... and let's just say it wasn't because Justin was into Calvin. Our sources say ... word got back to Calvin, Justin and Rita got "touchy feely" with each other while they were in the recording studio together over the last few months. Calivn heard they were very affectionate -- she would sit on his lap, he would rub her back, etc. Justin was down in Mexico for the last few days ... and not coincidentally RIta was there as well. For Calvin's' part ... he was out in Hollywood earlier this week with a slew of women ... and when we asked him about Rita hanging out with Bieber, he gave a very telling response. Sources close to Harris and Rita tell TMZ ... he's already had her things removed from his L.A. house. We're also told he produced a few songs for her, but now he won't allow their release. It's all about the release.